The final touches are currently being made to Middlesbrough’s new Premier Inn, providing a welcome boost to local employment and bringing 35 full-time jobs to the town. Built by local property developer, Jomast, the affordable hotel sits on the site of a former car park, alongside the existing Jury’s Inn hotel and Unite buildings on Wilson Street in the centre of Middlesbrough. The development, which is due to open its doors in March 2018, heralds a new phase of regeneration in the town, and it has been confirmed that it will be recruiting for various roles over the next few months. 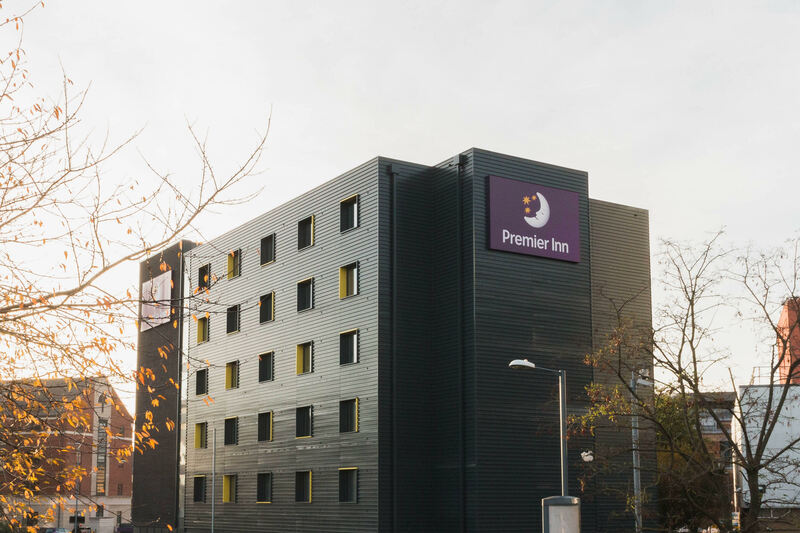 The new Premier Inn is part of the UK’s largest hotel chain, at more locations than any other hotel chain in the UK with rooms starting at £35 for a family room for four. The ground floor of the building consists of the reception area, a restaurant and bar and a number of bedrooms with the remaining floors each having a similar layout of 16 bedrooms, with a total of 83-rooms in the building. All bedrooms will showcase the company’s latest high-spec, modern design with a 40″ flat screen TV, a luxury king-size Hypnos® bed, a choice of pillows, free WiFi and self-service check-in facilities. Within the restaurant, guests can enjoy a delicious, unlimited breakfast from £8.99 for a choice of cooked and continental options or £6.99 for continental breakfast only. Kids can eat either breakfast option for free. Adam Hearld, Development Director at Jomast said “The addition of the new Premier Inn will have a significant impact in transforming central Middlesbrough and the surrounding area, as well as providing employment for many local residents. The news follows a string of successful regeneration projects in 2017 from Jomast in Middlesbrough and the surrounding areas, including the recent announcement that it is to renovate parts of Albert Road.